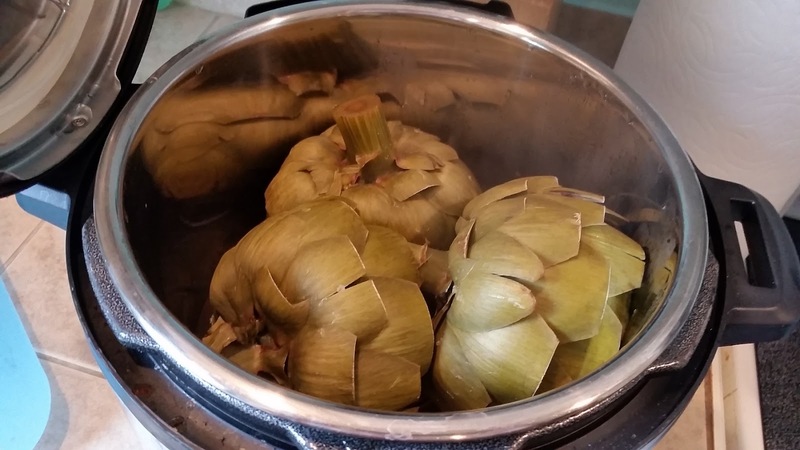 Did you know you can make artichokes in a pressure cooker? So I went and did it. I went and bought myself an electric pressure cooker. An Instant Pot. I had heard fanciful (and almost unbelievable) tales from my Sister-in-Law that you could cook chicken breasts from frozen to done in 15 minutes, hot wings in 9 minutes, spaghetti in 6 minutes, baked potatoes in 12 minutes, and I even saw on Pinterest you could make homemade yogurt in a pressure cooker! What is the magical pot that breaks all known cooking and food safety rules?! Say what?? How on earth is that even humanly possible? How does this thing actually work (barring wizardry and unicorn wishes), and what about all those scary explosion stories from the days of yore back in Grandma's kitchen in 1964?? Well the beauty of modern technology, is that they have removed (for the most part) the more dangerous aspects out of using a pressure cooker. 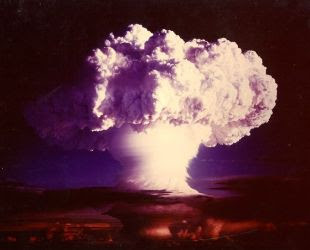 I took mine out of the box (very gingerly, as if I was handling a nuclear bomb) and managed to brave the boiled water test recommended in the instructions. I will confess, I was standing literally 12 feet away and hiding behind an open pantry door, just to make sure my kitchen wouldn't implode. After we safely depressurized, I wanted to take this baby for a test spin on something a bit more tangible... and way more tasty. 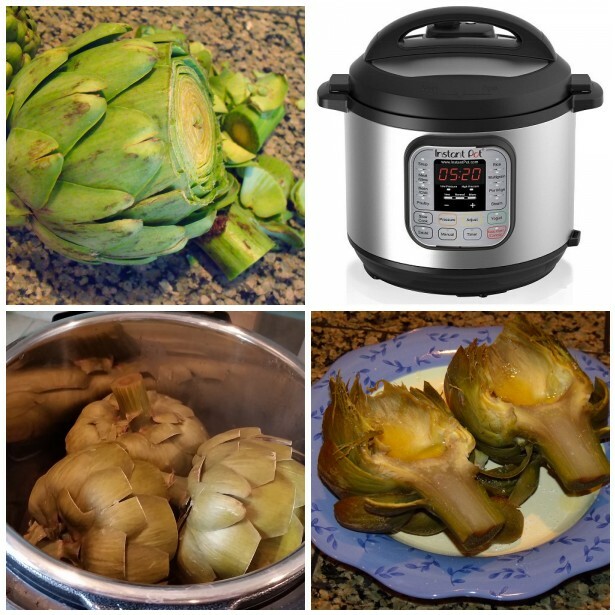 I had heard that pressure cookers are fabulous for steaming things, and my thoughts turned to my favorite veggie, artichokes. 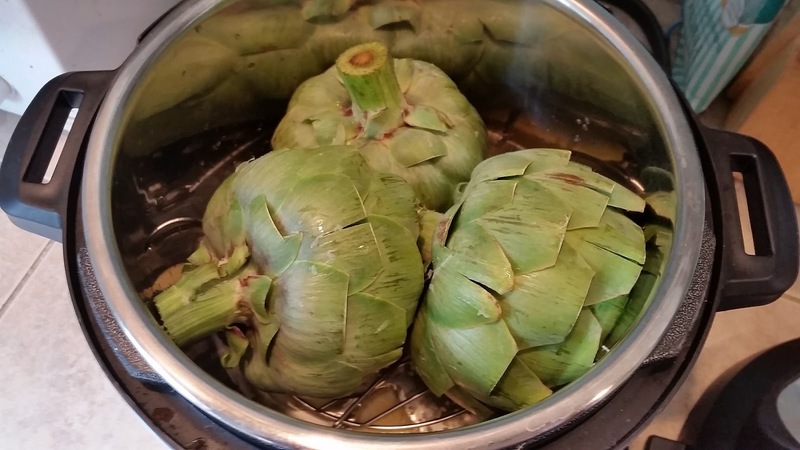 Normally, it takes about 40 minutes to an hour to steam those big ol' globe artichokes. We've always done the regular stream in a pot method in the past around here (click here for steaming artichokes the regular way), and it has worked just fine, though sometimes it's a crap shoot to get them just right, as in, not too mushy and at the same time tender enough to pull the leaves off for dippin'. Well I've cooked artichokes twice now in my new Instant Pot, and I'm here to tell you that you can have three perfectly cooked globe artichokes in 20 minutes! No joke! The first part of prepping the artichokes is the same as if you were going to steam them in a big pot. Scrub the outsides with some water and a vegetable scrubber to remove any dirt or debris, and trim the stem to one inch. Next, flip them around and cut off about one inch off the front of the choke. Take kitchen scissors and blunt cut across all the tops of all the leaves, to remove the tiny thorn that will for surely impale you skin if you are not careful. 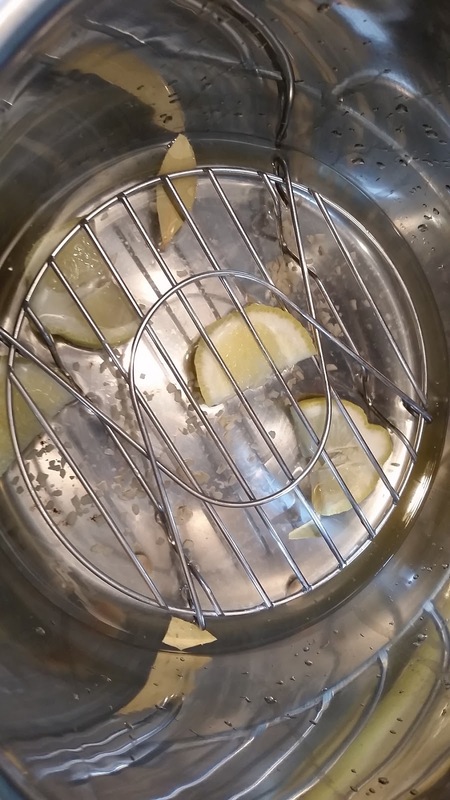 Place the metal steam rack on the bottom of the pot, over your water, lemons, garlic and bay leaves. Place your three globe artichokes stem side up (facing down) - or sideways if they all don't fit along the bottom. Seal the lid of the pot (I love the happy little chimes letting you know you are locked in place). Make sure the nozzle on the top is set to "Sealing" and not "Venting" and you are ready to go. Set the Instant Pot to "manual" and select 20 minutes. That's it. Just set it and walk away. I chose to take this time and make some melted garlic butter (our favorite artichoke dipping medium) buy slowly melting a stick of butter in a small pan on the stove top with a spoonful of minced garlic in it. It will take a few minutes for the pot to come up to pressure, then a timer will count down the 20 minutes until ready. Once the cooking process is finished, you can quick release the nozzle using an oven mitt (steam will come screaming out in a loud and slightly terrifying way), or you can let it sit in there and naturally de-pressurize on it's own for a few minutes. After that, carefully open the lid and peek inside. You'll have yourself a dandy little set of globe artichokes, ready for devouring. I always take a knife and stick it down the center stem to check for doneness. If it glides in with little resistance, you are cooked all the way through. All that is left to do now is to cut the artichokes in half, clean out the choke (purple thistle-y parts with a spoon) and bring on the warm garlic butter! While they are still warm bring them to a cutting board face down, and with tongs, cut down the middle of the stem, slicing them completely in half. In the center you will find a purple section of leaves (what would have become the flower) that you will need to scoop out. Because everything is so soft, it comes out pretty easily. Just take a big spoon and gently cut out the center part and remove so they look like the two on the left. Preparing them this way is genius I tell you, because now you have an edible bowl where you can pour in a slathering spoonful of garlic butter and as you pull the leaves off, each bite will have a bit of butter on it. If you have never eaten an artichoke before, simply pull off the leaves and scrape the lower half of the leaf in your mouth, pulling off all the "meat". It is DIVINE! They are great as an appetizer, on their own as a meal, or a side to steak, chicken, etc. Also after you have pulled off all the leaves you are left with the very best part, the heart of the artichoke. Be sure to saver these. I tend to cut them up like a cherished steak and pour over the remaining garlic butter and quietly savor each bite. I could almost go vegetarian if I could have these every night. They are so satisfying! These have GOT to be my all time favorite green vegetable. So don't be afraid to try this alien-esque type orb, as it could easily turn out to be your go to veggie - and DON'T be afraid to try a pressure cooker, they can shave tons of time off your crazy busy schedule while giving you quicker, easier, meal options. Stay tune for more experiments with my new Instant Pot. Enjoy! I am a new IP (6 qt) user and happy when I found your blog and artichoke recipe - you are hilarious! We made the 3 artichokes but they were quite mushy. 2. When I tried your recipe, I allowed the IP to depressurize naturally for 10 minutes; I definitely should have done a MR right away. I look forward to trying other recipes! What is MR and IR? 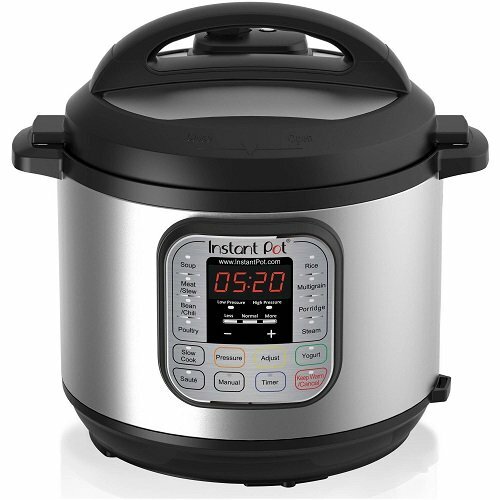 IP is Instant Pot and I love mine too. Thanks for the tip Christy. When I first started the instant pot, I felt like it defied the laws of cooking physics. How can anything cook that quickly. I followed another online recipe of 15-17 minutes, but our artichokes must have been big or something because they were not all the way done, so the second time I made them for the blog, the 20 minutes turned out perfect. I'd say adjust the time to your liking. Oh and to answer anonymous question, I believe IR means "instant release" meaning you turn the valve to release the pressure immediately after the time is up, and I think MR means the same thing "Manual release". I've been on a facebook page for Instant pot, I think the other option is NR (Natural release) which lets the pot depressurize by itself until the little peg pops down. I hope that helps. Trying this right now. It seems to have come out all right! Can't wait to try it. A debt of gratitude is in order for the tip Christy. When I initially began the moment pot, I sensed that it challenged the laws of cooking material science. How might anything cook that rapidly. I took after another online formula of 15-17 minutes, yet our artichokes more likely than not been huge or something since they were not the distance done, so the second time I made them for the blog, the 20 minutes turned out great. I'd say change the opportunity to your preferring. My artichokes are HUGE and I will be using manual high pressure for 20 min, and an additional 5 min if necessary. Sure beats the 45 to 90 min on the stove! 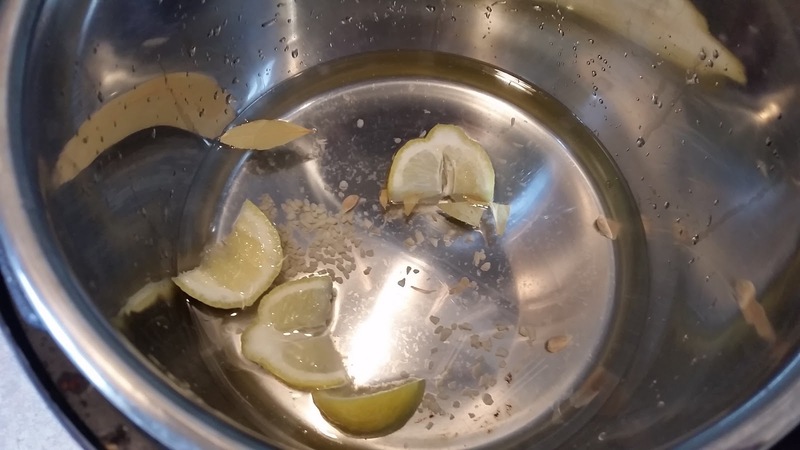 Never thought of putting bay leaves or the lemon and garlic in the water. Great idea and I am going to do that tonight! 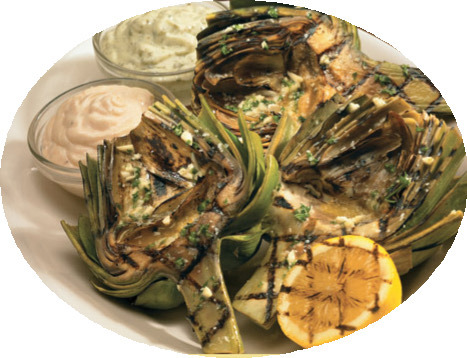 We like our artichokes with mayonnaise dipping sauce. And we don't cut in half. We are rustic I guess, and just have a large bowl for each of us for the leaves, and a bowl to serve the artichoke and then a small ramekin for each of us to dip. Yum. Awesome Karen. Yes the Bay leaves and lemon/garlic give them a nice boost of flavor. Man now I'm craving these again... I might have to make them tomorrow! This worked great for my 12.5 oz artichokes! I did not hit cancel for 10 minutes, then let it NR. The leaves weren't as tender as I usually like them (but I like them pretty soft), so I will add another 5 minutes the next time. Loved the seasonings, have only used salt before!